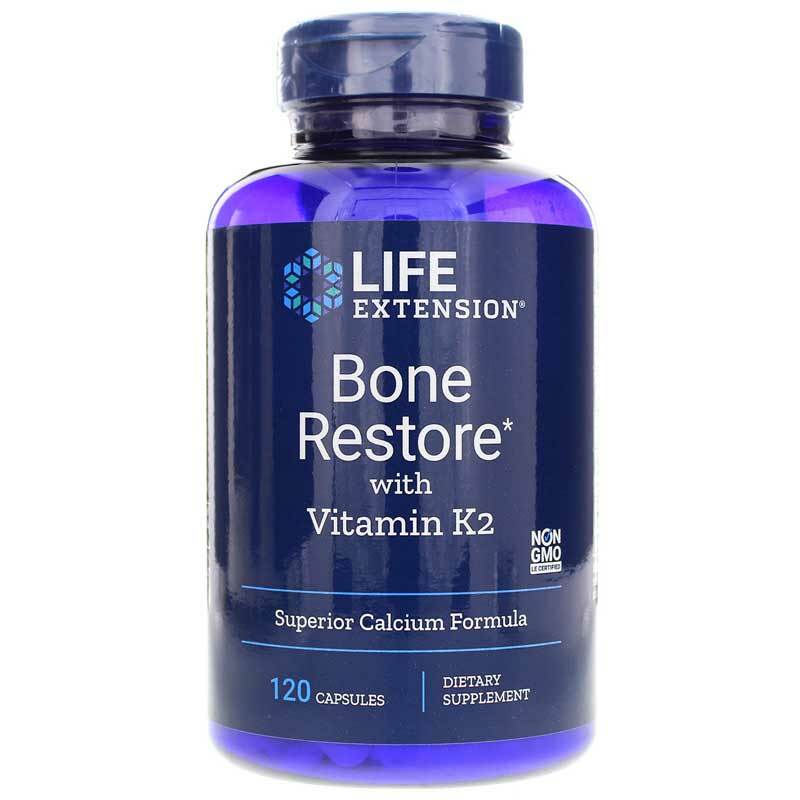 Bone Restore with Vitamin K2 from Life Extension is intended to support the health of bones with minerals and vitamins. Calcium is the main mineral that contributes to the structure of bone. 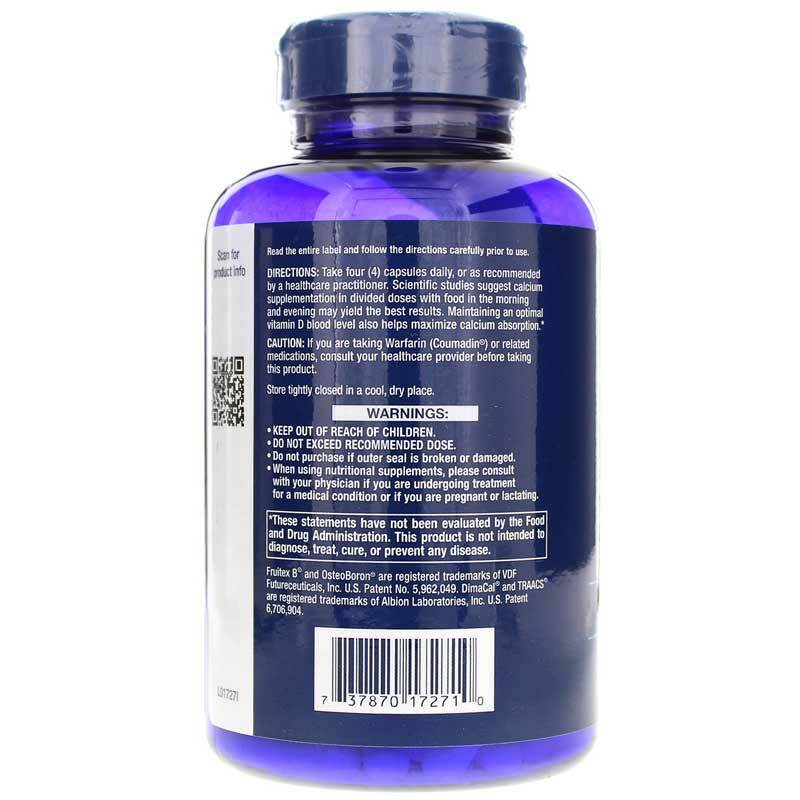 The calcium in this supplement is provided in a form that is meant to be easily absorbed, as absorption of elemental calcium can be difficult for some. 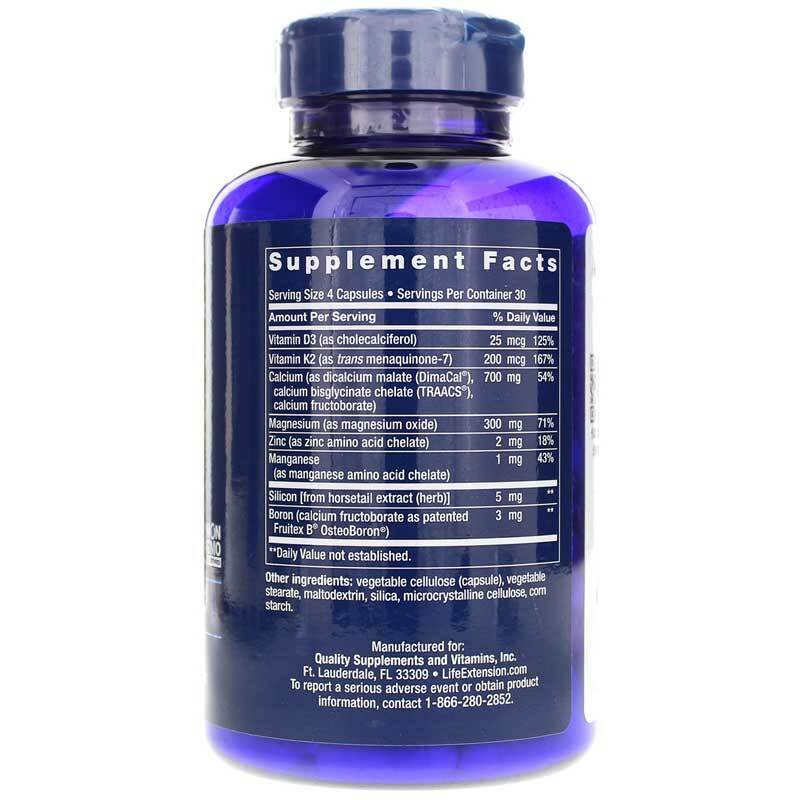 The vitamin K2 in this supplement may help to ensure that calcium is directed to the bones rather than to the arteries. It may also help to promote bone density. Vitamin D3 may help in the absorption of calcium and may support the work of the bone cells in building bone. Magnesium also makes up part of bone structure, and may also support the health of muscles. Boron is a trace element that may also contribute to bone structure. Adults may take 4 capsules per day. Consult with a healthcare professional before taking. Adults: Take four capsules daily, or as recommended by a healthcare practitioner. Scientific studies suggest calcium supplementation in divided doses with food in the morning and evening may yield the best results. Maintaining an optimal vitamin D blood level also helps maximize calcium absorption. If you are taking anti-coagulant or anti-platelet medications, or have a bleeding disorder, consult your healthcare provider before taking this product. If you are pregnant or nursing, please consult your healthcare professional before using this product. Keep out of the reach of children.